Extraordinary cuisine can be healthy and delicious. 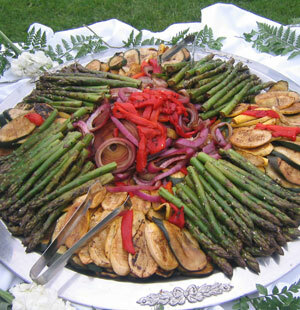 Today, vegetarians enjoy a vast array of options in menu planning & design. 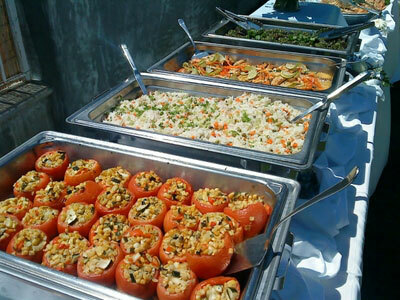 Here’s an example of a marvelous vegetarian buffet that will delight the senses! Let us know if you’d like to review vegan menu options as well. Menu Pricing: $58 Per Person includes China, Silverware, Water Glass, Linens & Catering Staff! Service Charge & Sales Tax Apply. Above pricing is per person and includes buffet set-up, china, linen & full service. Pricing based on 100 guests or more. Groups 75-99 add $5/pp. Smaller groups – call for custom quote.